Bello Sweeties~ Hellloooo Sweetheart ♥ :3 Long time no seee?! 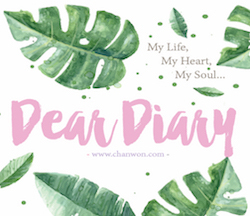 HAHAHAAH I'm super duper exited now because finally I'm done editing and updated this post! 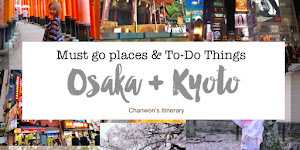 WOOOHOOO It took me more than 1 week time to finish this blog post due to the limited time I have and Finally!! Please give me some love on this post. It has been a while or maybe such a long time that I never update about some tutorial or review on a specific brand or cosmetic product~ Am I Right? I miss it.. 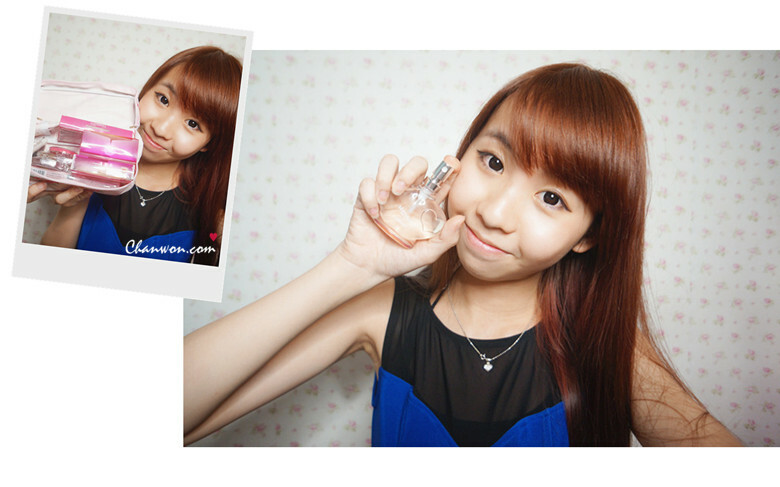 I miss the day I spend with myself just to snap photo for you and just to update my blog. Sitting in front of my lap top looking and editing all the photo..Being so excited just to see how the feedback and things like that. It's all about my heart :) It maybe isn't fun for you but for me it's everything. I'm really glad that I finally have the motivation + mood to update this because this require lotss of time to complete it. You know I left 5 weeks to end with my internship period and that's why I don't wish to waste my time for now. I didn't date anyone today and I just simply spent my time with all of you :) So, can give me some thumbs up when you are reading this?? ♥♥ Thanks so much for your love and support!!! JUST 5 WEEKS LEFT!! Shouldn't waste too much time talking rubbish here so I just straight to the point and HERE YOU GO!! So for those who asked me about my recent or daily makeup look you can't miss this post. I'm going to share my recent makeup tutorial with all of you and basically I keep on changing my makeup look but recently since i'm working from the past 2 months+ I decided to just have the same makeup look for now. So it's natural style makeup tutorial and it suitable for those who always rush , lazy to put on too much make up or suitable for students / office lady too. I don't think thick makeup can actually make someone pretty actually because it seems to be so suffer when it come to the remove process and also after you have too much makeup once you get used to it you just CAN'T LIVE without thick eyelashes, eyeliner, eyeshadow & things like that. So from now on gain your own confident level and just light or natural makeup will do. Outer beauty , inner beauty , confident level & etc is too important for us as a female. Am I right? I have too limited time to do my makeup due to I have lack of sleeping time , I need to bath , I need to choose my outfit everyday before I work , I need to think about what happen and how to deal with customer , strangers, people around me. Everything seems to be too much for me to handle so I really have just a LITTLE time to do my makeup. 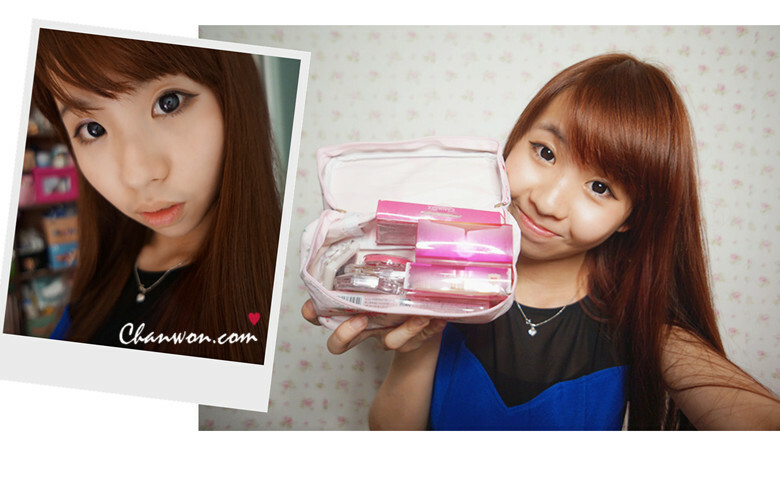 ♥Remember the previous blog post update about the event (http://www.chanwon.com/2013/05/canmake-blogger-event.html) I got all the product sponsored from CANMAKE Malaysia Special thanks to them and you know I'm actually a fans of them too + now I got additional makeup product so before we start the tutorial let me introduce each product I used in this tutorial first. *Some of the product I purchased with my own money and others is I get during the CANMAKE event previously. ARE YOU READY?!!! Let's Get Started ♥♥!! Apart from that , one thing you can't choose is this product only have one color . I'm having a lighter tone on my face so when I applied this my face look very natural in it own color tone and even up my skin but for those who have darker tone maybe you need to test it on my skin first if not it might be a little bit too bright for some of you. So please take note of this ya :) Overall I think this is suitable for those beginner or for those who prefer natural look by just applying this as a base on your skin. After you done with your base is time to move on the next step. Using your eyeshadow base and applied it all over your eyelid. In this look it required using eyeshadow base because I want to make my eyeshadow color look more obvious especially those light color kind of eyeshadow. If not the color might not be exactly same or not so obvious after you apply. I'm always make myself easier because I'm kind of lazy girl -.- I wont do much on my skin but I'm only emphasize my makeup on my eye area. I change my makeup look by just changing the color of eyeshadow I use or the eyeliner. You can figure it out on my previous post actually. Wooohoo it's eyeshadow time. Seriously, I'm pretty in love with this eyeshadow♥♥. I love all 4 color which really help all of us to achieve a natural makeup look and it's so light especially suitable for those who pretty light makeup. Then the darkest color inside this eyeshadow can actually enlarge your eyes and make your eye look more attractive. I'm always using 3 of this color either purple or pink with white and the darkest one. White - Use on your bottom eye - front part. *I draw this out and show you the photo so you can understand and get what I mean for that. This is the main thing you need to do. I know most of you will say AIYAAA..Light makeup will make my eyes look so small so this is the main point!! Using the darkest color to enlarge your eye. Apply it like a '<' shape and just slowly add on , not too much not too less. 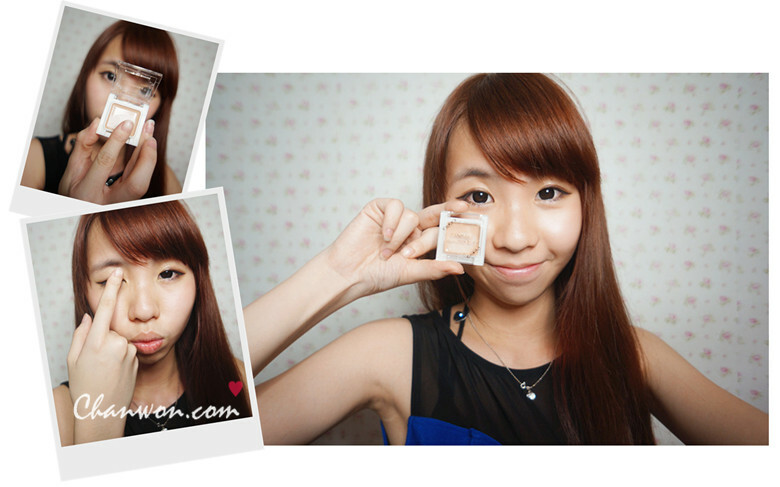 It will actually increase your eye area and make you look more attractive and enlarge your eye. Before applying your mascara remember to have fun playing with your eyeliner. Since the time I attended the event I realize the makeup look more natural and nice with a brown eyeliner. 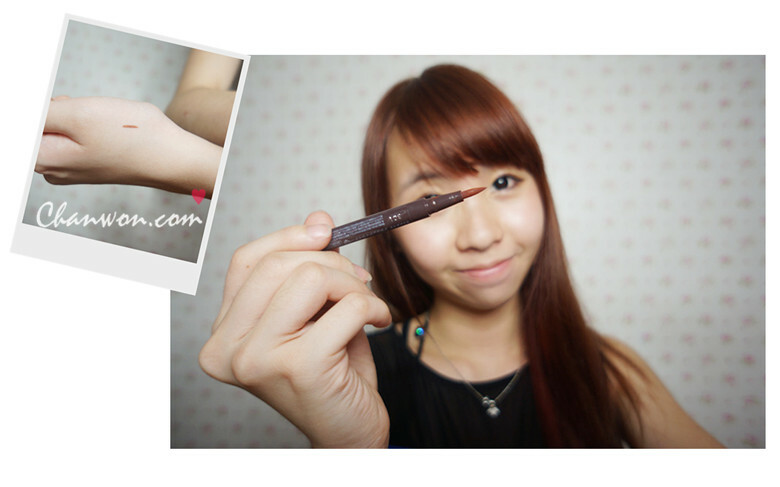 I'm really impressed♥ with this perfect eyeliner pen in brown color because the design on the eyeliner pen suitable for all of us especially all beginner. The front part of the pen is quite big and thick compare with others eyeliner pen. So with this you can easily apply and draw your eyeliner. One cons about this is this eyeliner pen once you draw must remember that no 2nd attempt after you draw your first line except you erase or remove it if you did any wrong. Because if you draw and attempt it on the first line the color of the eyeliner will look faded and lighter. Lol I don't know how to explain the reason of this but this make me can't do any error and draw a 2nd line after my first attempt. 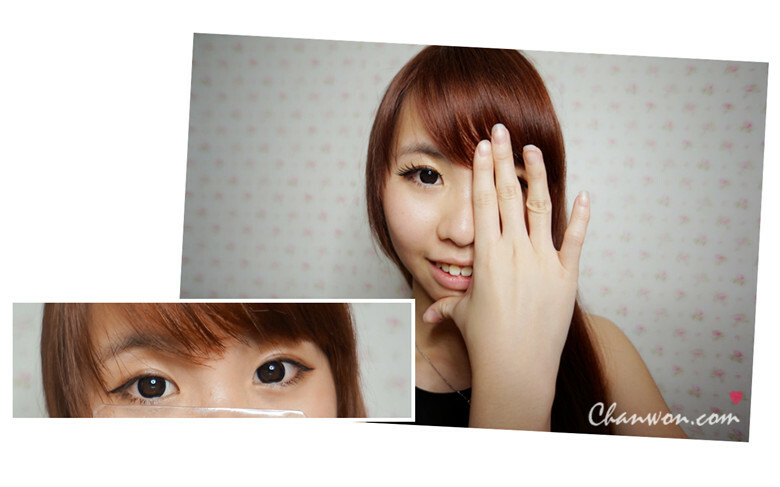 But this strongly recommend to all of you who looking for brown color eyeliner. Didn't really count this is the 3rd of the 4th year using the same brand mascara and don't know how many time I need to recommend to all of my reader and sweetie. AHAHAH I'm a fans of this mascara because this is just so nice for me to increase my eyelashes volume. Normally I'm using this if without applying any fake eyelashes then it enough for me to go out with just with this mascara. You can skip this if you don't have enough time or you dislike to apply fake eyelashes. I will skip this since it's natural look makeup and I'm feel that it will need extra time by applying fake eyelashes!! Am I right? So I just show this for you since I get the CANMAKE EYELASHES on the previous event inside their goodies bag. So I just stick it for your reference. Canmake have diff kind of eyelashes which you can choose on diff outlet and some of it is more natural some if more dramatic. The eyelashes is those hard kind of eyelashes. Not handmade I guess it's plastic type of eyelashes but when you use it on those fashion show or when you need a thicker + heavier makeup you can have a look on their eyelashes because it will hold your eyelid + enlarge your eye to achieve your desire makeup look. The price is not expensive but you have to refer on their outlet because I think I forgot the price HAHAAHAHHA so sorry for that :'( If not mistaken it's RM25-RM30 no more than RM30 i think. Blush is a MUST♥♥ for all of us. Especially those who have pale face like me or lighter skin tone girl. You know how much I love with the CANMAKE CREAM CHEEK? I hope I can get all color on my collection and apply it on diff makeup style + came out with more diff kind of makeup tutorial for you gus!! HAAHAHAH I want them home!! First thing I'm loving the cream cheek because it's EASY to apply! Just use your finger to apply on your cheek. I prefer it to apply on my bottom part of eye area. Make me look cuter and for those who prefer look younger can apply it like me while others you can apply it on your cheek but remember not to forget to SMILE first while you're applying it like the photo below. Other than the convenience of the cream cheek it's my love now because the color is so obvious and pigmentation is damn nice. The color very obvious and then it also won't gone easily. 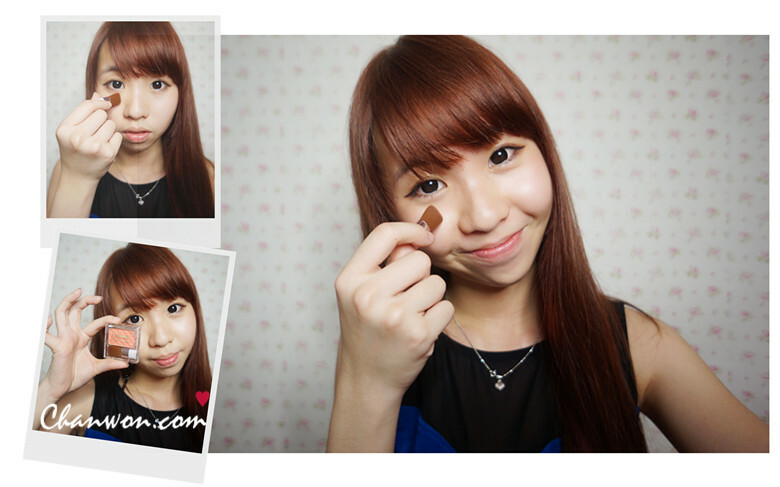 Additional step for you to make the blush stay longer by just apply or add on a cheek powder. Remember choose both color combination can be lighter or darker color than your cream cheek. 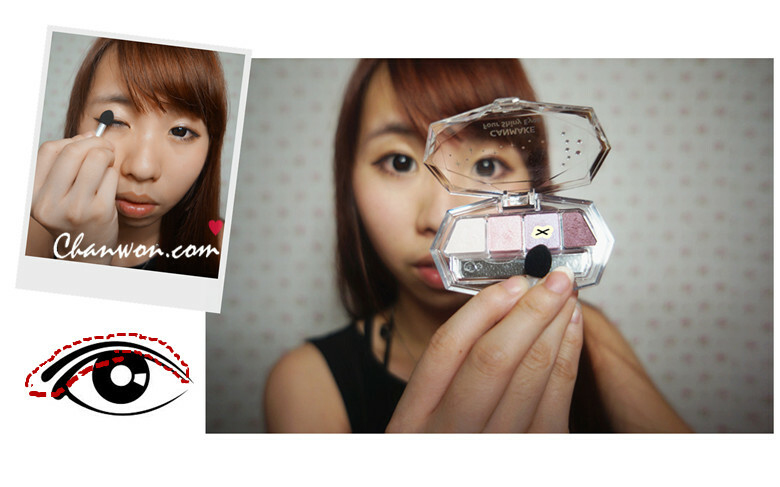 It's depend on you to choose which color combination is nicer and whether you wish to have a obvious blush color or not. Remember to SMILE while applying this. With & Without light. With a big flash or light your eye actually look really beautiful and natural♥ while if you increase the amount of brown (darkest color of your eyeshadow) your eye actually look more gorgeous and emphasize your eye makeup. MUAHAHAHA Damn nice right? just play with the eyeliner and eyeshadow can actually change your whole makeup look and style. That's all for today! Thankiuuu for your patient and read the full post of this :) Love & Appreciate it. xoxo.